Have you ever been in a meeting at work and wished you could just blurt out all the snarky thoughts in your head and damn the consequences? If so, Leona Lindberg is the cop for you. She’s an outspoken misanthrope with a dark past who manages to keep her job on the Stockholm police force because she’s a good detective--and decidedly not because anyone likes her. Her latest case is a weird one: banks are being robbed by a young girl who comes in naked and covered in blood. Leona’s colleagues don’t want the case because robberies are small potatoes compared to murders, but Leona’s motivations for volunteering to add it to her caseload are...complicated, it turns out. Very complicated. 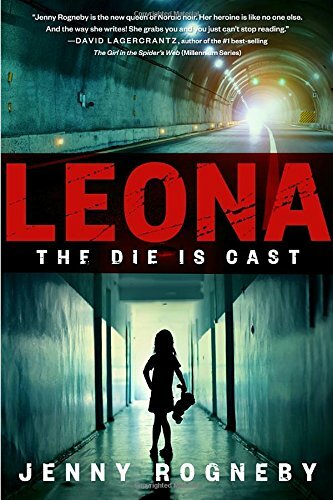 I like “cop with a dark side” stories as much as the next girl, but you have to really be okay with darkness to be a fan of Leona. If you can’t get behind an antihero, maybe give this one a pass, especially because at 450 pages, you’re going to have to spend a lot of time with her. If you don’t mind your detectives on the shady side, though, step right up. By the way, I intended to credit the translator here as this book was originally published in Swedish, but after a thorough Internet search and a study of the print copy, I came up empty.